You’ve started your small business, and everything is moving along right on schedule. But as a savvy small business owner, you are always searching for new ways to help your business grow at an even greater rate and to greater success. Maybe you have considered the idea of making an appearance at an industry trade show but discarded the idea because you can’t come up with enough benefits to counter the costs. You might want to reconsider your position on making this strategic move. If you need the right incentive to sign up for the next local trade show in your industry, take a look at the following 5 ways trade shows help small businesses grow so you can get revved up and ready to reap the benefits. 1. Enjoy Some Real-Time and In-Person Marketing Time. As you manage your booth, you have the chance to interact with prospective customers and fellow professionals in your industry. You can also provide product or service demonstrations that transcend written descriptions, promotional materials, and video demonstrations. 2. Each Trade Show Event Gives You a Unique Chance to Learn Something New. You can visit your competitors’ booths at each trade show to gain some insights to their success or see where they fall short. Watch their demonstrations, read their literature, and take the time to discuss your industry. The more you get to know those in your local business community, the better you will fare. Meet with clients, vendors and community leaders. The benefits of these networking possibilities are exponential when you consider the savings of buying supplies locally to avoid high shipping costs involved with out-of-town purchases, just as a starting point. The chance to meet local clients and give them a first-hand perspective on the benefits your business offers them is priceless. Finally, meeting local community leaders gives you the chance to become an embedded member of your community, helping to foster growth and benefits far beyond your own company. One of the biggest advantages of attending trade shows is the massive congregation of media outlets on the local, regional and national level from every medium. Most individual small business owners could ever afford such a confluence of media exposure, so it is a golden opportunity for you to let the television, newspaper and radio audience for these outlets know more about your small business. 5. Renting or Buying a Used Trade Show Display Gives Your Business a Chance to Shine. 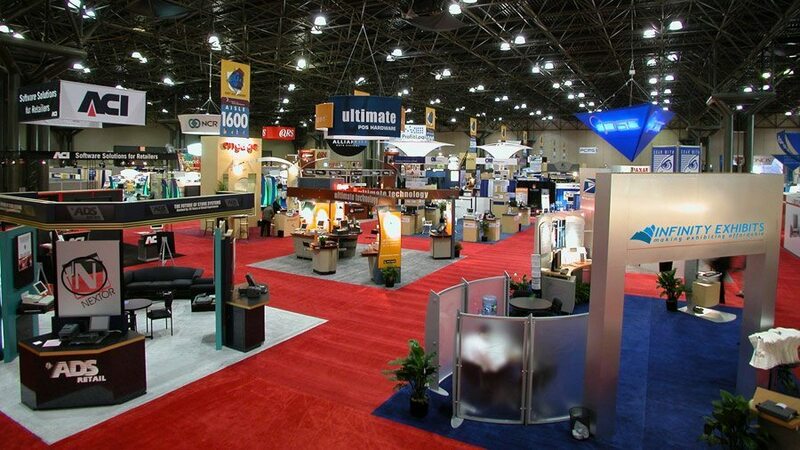 Your best and most affordable option, as you get ready to attend a trade show, is to rent a booth or buy a used display. Work with a trade show display manufacturing company like Infinity Exhibits to create a high-impact display to broadcast your brand with confidence while staying on budget. A well-designed booth featuring pamphlets and other materials describing your products or services gives you the chance to reach a new audience that is in attendance to explore companies just like yours.